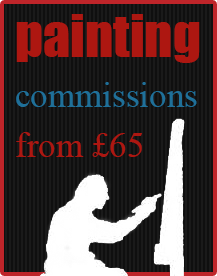 Categories: Paintings, Prints, Landscapes. 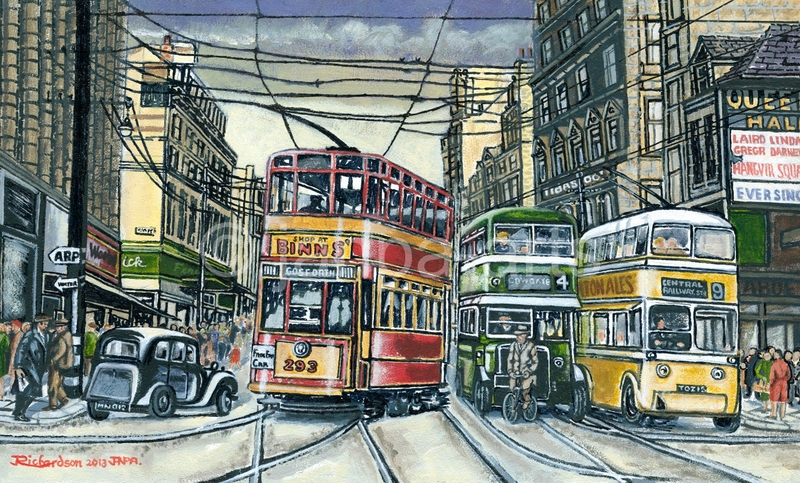 Tags: bus trolley, car, cyclist, fenwicks store, northumberland street, queens cinema, tram, tram lines, trolley wires people shopping. Time Gone By acrylic and black marker pens on Masonite panel 20.5 x 12.5 £185 free p/p uk. Giclee prints available same size £50 = £3 p/p.